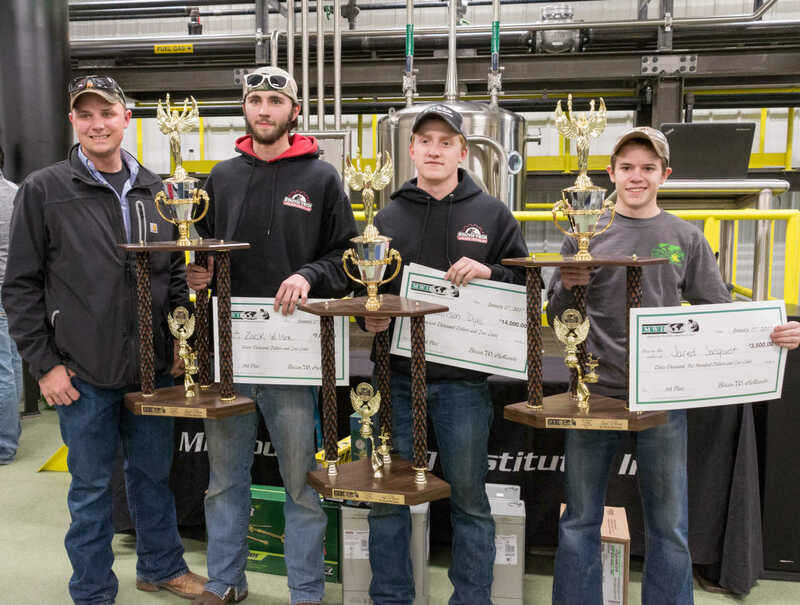 South Tech high school (near St. Louis) swept the top three places in the Vocational Technology division Friday, Jan. 27 at Missouri Welding Insitute's seventh annual welding competition. From left: instructor Adam Holt, second place Zach WIlson, first place Harrison Dye, and third place Jared Jacquot. 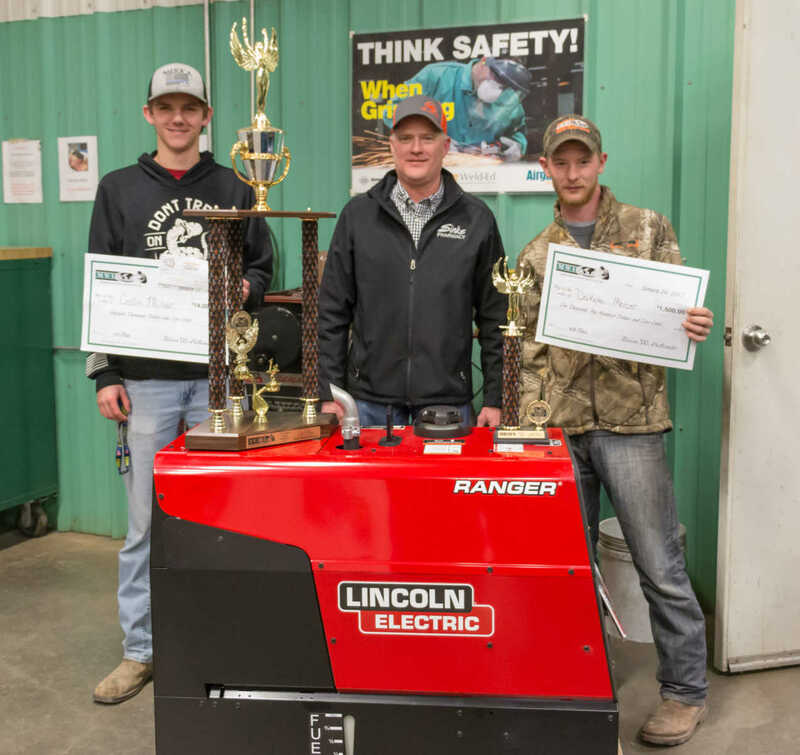 Collin Miller, left, won first place in the high school division welding competition at Missouri Welding Insitute on Thursday, Jan. 26. Dakota Mercer, right, took home the fifth place. Also pictured is their instructor, Chris Mertz, center.